Audiences love when movies are turned into musicals. But us theater folk, well, we, as a whole, tend to despise it. Through the movie musical trend, we’ve seen some blockbusters shine (The Producers, Hairspray, among others) while others flop (Carrie, High Fidelity, among many others). 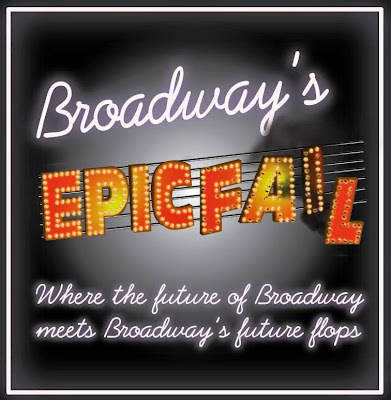 In the epic concert experience, "Broadway’s Epic Fail", the future of flops are predicted by giving some of cinema’s favorites the musical treatment. Conceived and directed by Marc Eardley, "Broadway’s Epic Fail" is an evening of songs by an assortment of musical theater writers and teams inspired by sixteen movies. With a wide spectrum of movies to chose from, this session of "Broadway’s Epic Fail" had a spattering of flicks from cult classics like “The Breakfast Club” and “Snakes on a Plan” to well revered titles like “The Social Network” and “The King’s Speech.” Where Broadway’s Epic Fail succeeded was with the titles that should never ever been given the full musical treatment. The numbers from the shows that could actually have a chance as a musical fell a little short of the evening’s mission. The only exception to this rule may be the standout song “Changing Lives” inspired by “The Parent Trap” written by Rebekah M. Allen. Other great numbers included “Enough is Enough” by Britt Bonney inspired by “Snakes on a Plane” performed expertly by Eric R. Williams, “Extraplanetary” by Rob Rokicki, inspired by “Alien V. Predator” and “My One Special Thing” inspired by “Boogie Nights” and written by Debra Barsha and Tim Sulka. The evening featured an ensemble of performers, lead by Williams, Vanessa Dunleavy, and Anthony Festa, and an emcee Jen Eden who was a bit frazzled throughout the night. Broadway’s Epic Fail has a bright future as a fun event but moving forward, it may benefit from themed evenings, like “Oscar Winners” or “Tom Cruise Movies” or “80s Night” to keep things fresh.